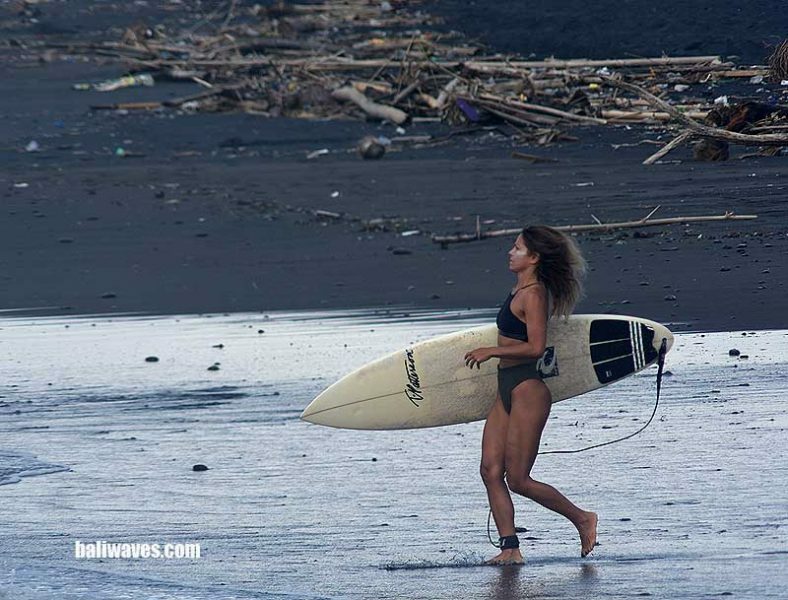 Hi folks and thanks again for stopping by the baliwaves (The original Bali surf report website since back in 1999) for our latest news and best possible views on surfing and weather conditions here on the island of the Gods, and the No.1 tropical surfing holiday destination and gateway to Indonesia’s surfing paradise, Bali. 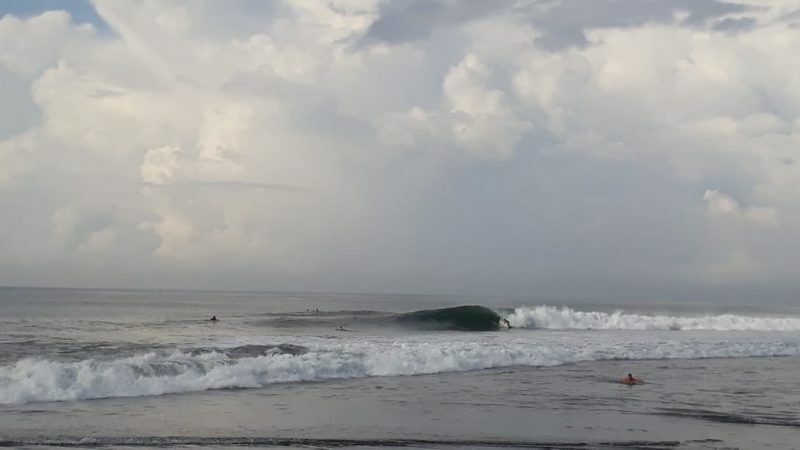 This mornings surf check on the Outer Reefs wasn’t looking too bad at all. 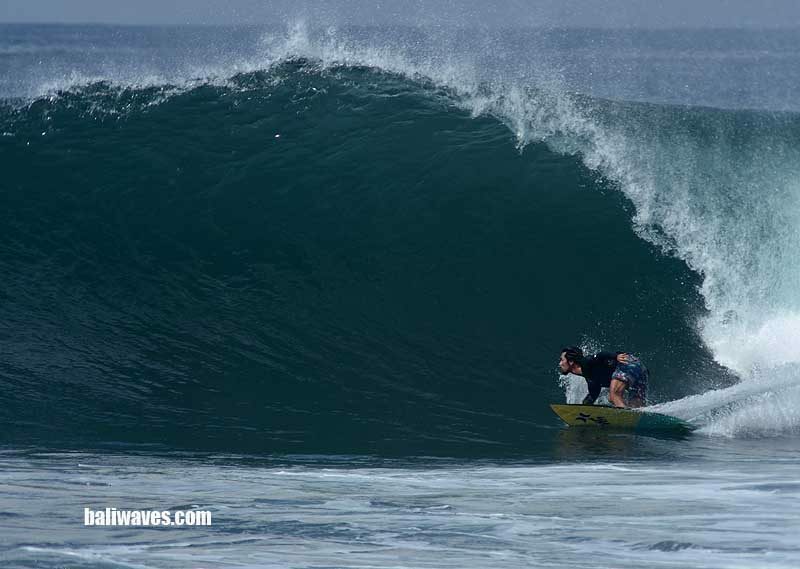 Wave height between Kuta Reef and Airport Left was a good fun sized chest to well over head, with the biggest waves hitting Middle Reef while I was on the beach. Surfing conditions were clean and tidy with the wind just starting to show out of the ENE and the tide running in. However that’s not where we shot today’s photos right. 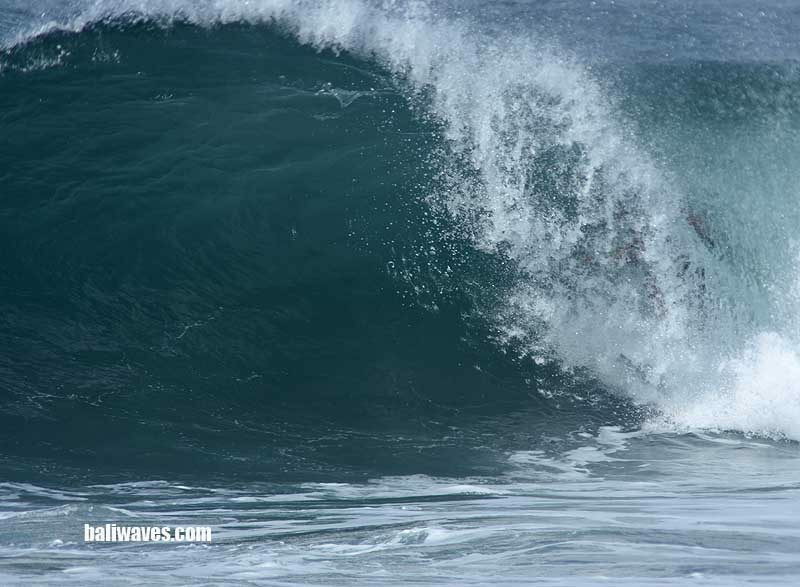 Our team was over on the East Coast shooting at the ever popular Keramas. 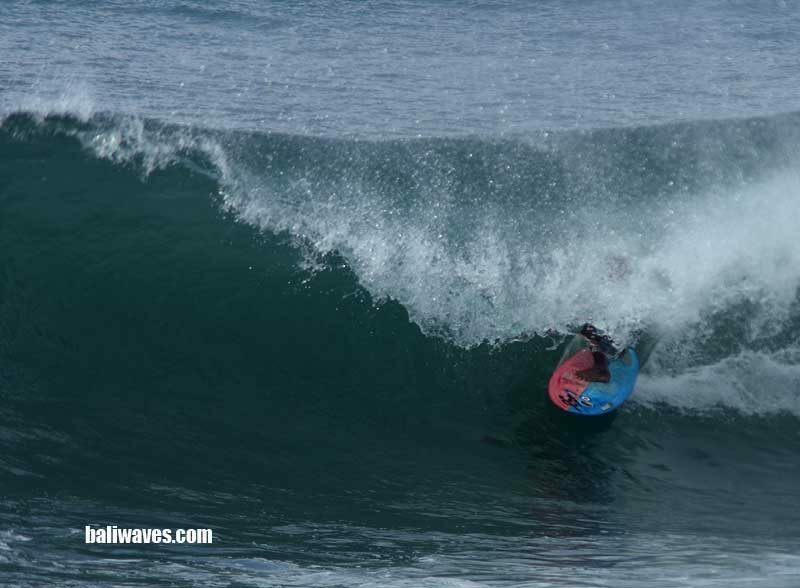 As it shows in some of the photos wave height was an easy double over head plus on the bigger sets and head to well over head on the in betweens. 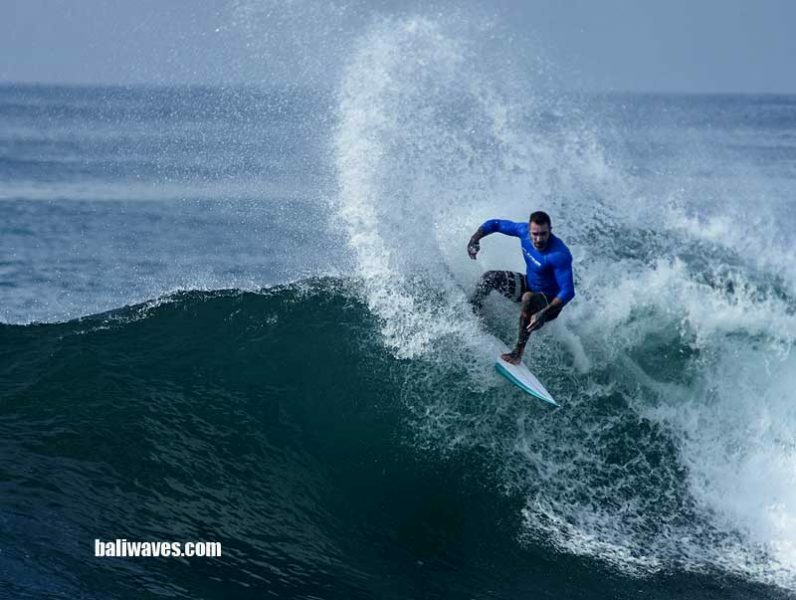 Once again the local surfers were putting on a solid display for everyone in the water. 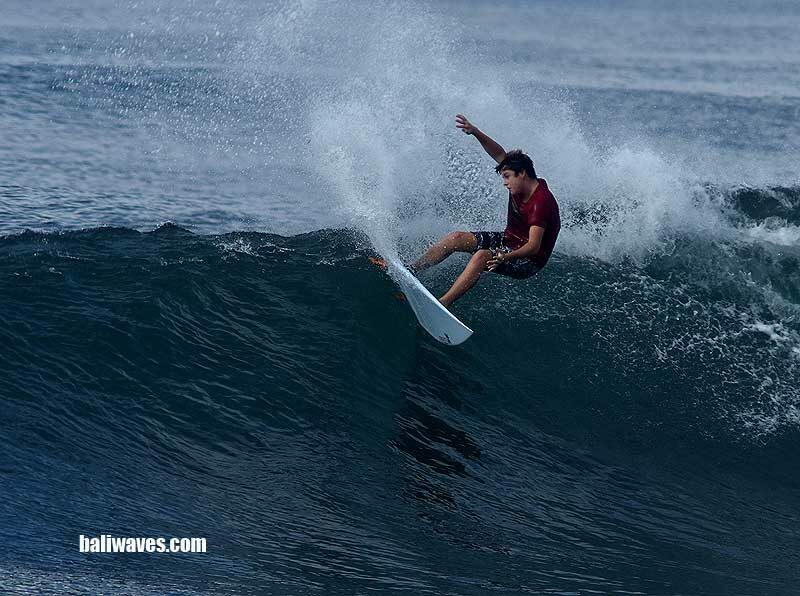 Surfing conditions were clean and glassy through until the wind started to puff out of the E-ESE around 10.00AM. Crowd wise it peaked at 20 surfers in the line up. Weather wise it has turned out to be a mostly overcast day around the island with the midday temperature a warm 29 degree’s Celsius. Wind direction is now at 1.30PM coming out of the SE-SSE at 7-12knot. Tomorrows Surf Forecast is showing wave height to build a little bigger and still coming out of the SSW. So expect to see more swell hitting the East Coast. Wind direction should be light and variable early before turning more to the ESE-SSE around mid morning. Further out our nice little run of ESE-SE wind might come to an end for a little while with not 1 but 2 TC’s forming up back to back off the North West coast of Australia. The first of which should come into play around Sunday the 7th bringing more W-WSW wind, before spinning off out into the Indian Ocean. The second if forecasts stay true will come into play bringing more WSW-W wind to Bali on the 11th-12th with more bad wind over the following 2-3 days. Have to wait and see how the swell will be I guess.